When working on this series it was important to me to have similar objects and shapes, however I also wanted to experiment with how the reflections differed with the square bottle versus the round wine bottle. 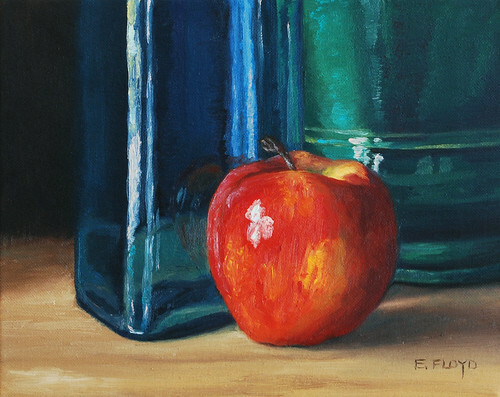 With this painting I learned it is important to emphasize the color in the reflections, overstating the reds in the bottle makes it easier for the viewer to perceive the shiny reflective quality of the bottle. PS. Have you seen this list of Top 20 Art Movies?